You’re already feeling terrible because your precious little one got a real bad diaper rash. Newborn skin is so sensitive! My little one had the worst rash his first week of life. He would cry and I knew it was from the pain of the rash. Even though I changed his diaper frequently he still got a bad diaper rash. Que the mom guilt. 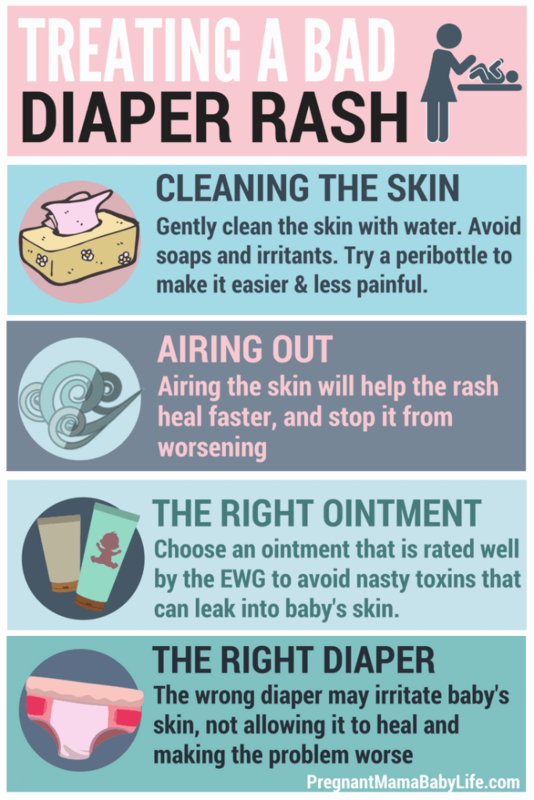 Here is our guide on how to get rid of a diaper rash fast. 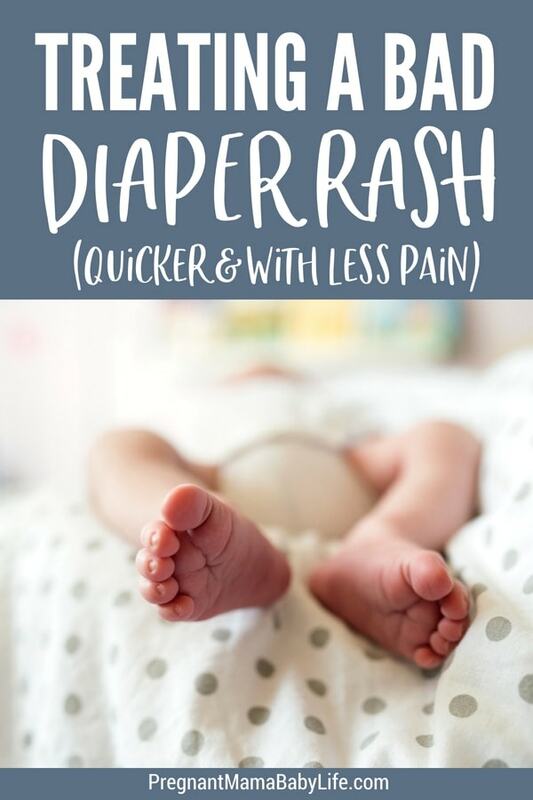 So, how do you treat a bad diaper rash quickly? First, let me start by saying, a bad diaper rash is very painful for baby. Don’t let anyone tell you otherwise. Your baby is having a hard time and needs your support and help to treat it. 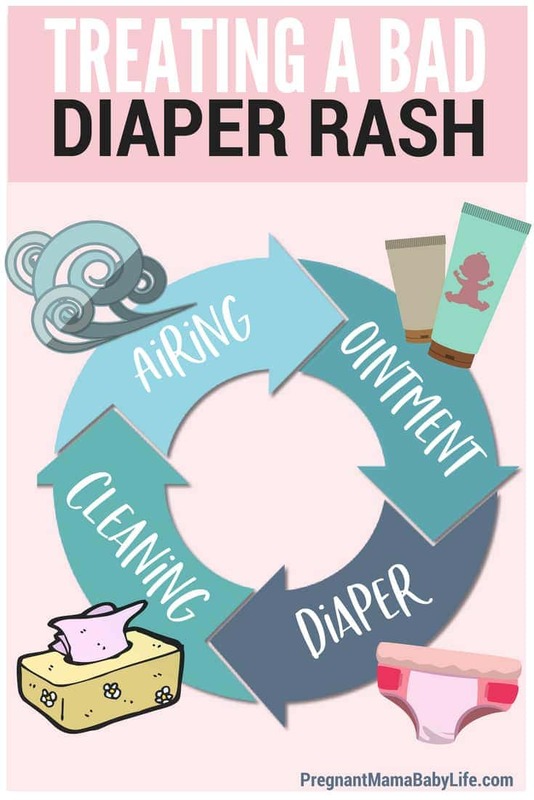 The trick to healing your babies diaper rash quickly is keeping them on a skin healing cycle. 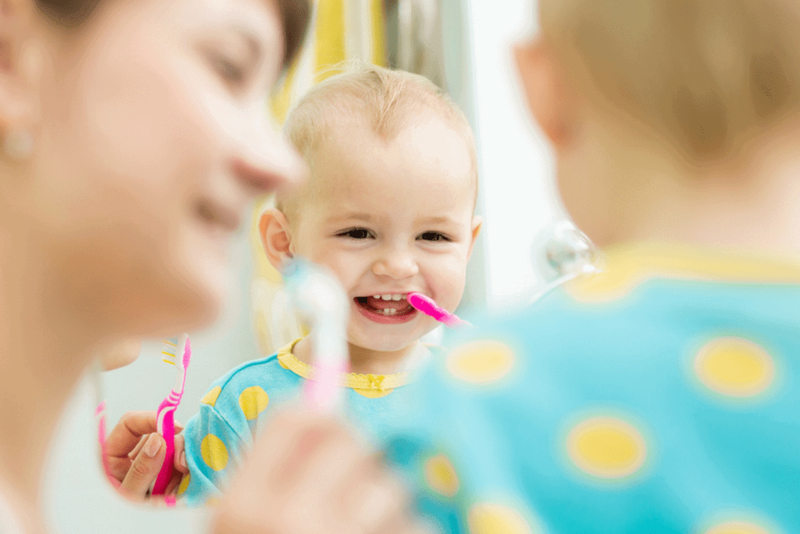 If you follow these steps, your babies bottom will heal faster! This post contains some affiliate links (this means if you make a purchase after clicking a link I will earn a small commission but it won’t cost you a cent more)! Click here for our full disclosure. Thank you! When your baby has a rash it’s best to stay away from wipes. If you are going to use wipes, the best ones are the saline only ones, but they are difficult to find. There are sensitive skin ones you can get here, which are definitely better than conventional wipes. They also have plain water wipes, which I would love to recommend, but apparently, a lot of people have had problems with mold forming in the packages. It’s best to stay away from any wipes that have cleansing agents or scents at this point. They could make the problem a bad diaper rash worse. Letting the area air out will help the area heal so much faster. Air is essential to quicker healing. It may get a bit messy, but totally worth it. This is super easy when they are little (No crawling means the mess stays contained.) 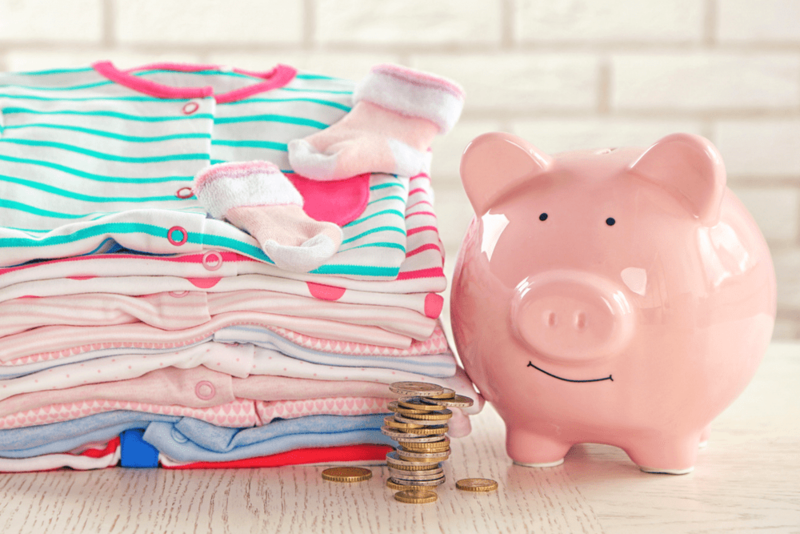 Put your baby in a long sleeve tee and some socks, and make sure the room is at a comfortable temperature. Let them air out while they sleep. When you’re going to air out your baby, make sure not to use any ointment or cream prior to the airing process, or it won’t be effective. The ointment won’t allow air to hit and dry the skin. Use a natural diaper cream. Did you know that Desitin has a rating of 5 on the EWG scale of product safety. They literally consider it a moderately hazardous product. Not something I feel great about smearing all over my new little guy. Your options aren’t limited though. 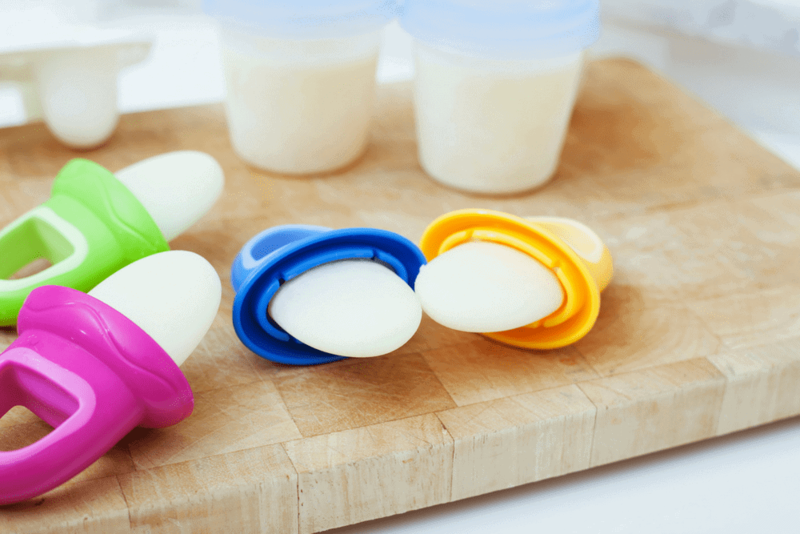 I’ve made my own herbal diaper cream before using this recipe. The calendula in the oil is very soothing on baby’s bottom and making your own is definitely cheaper when using all natural products. 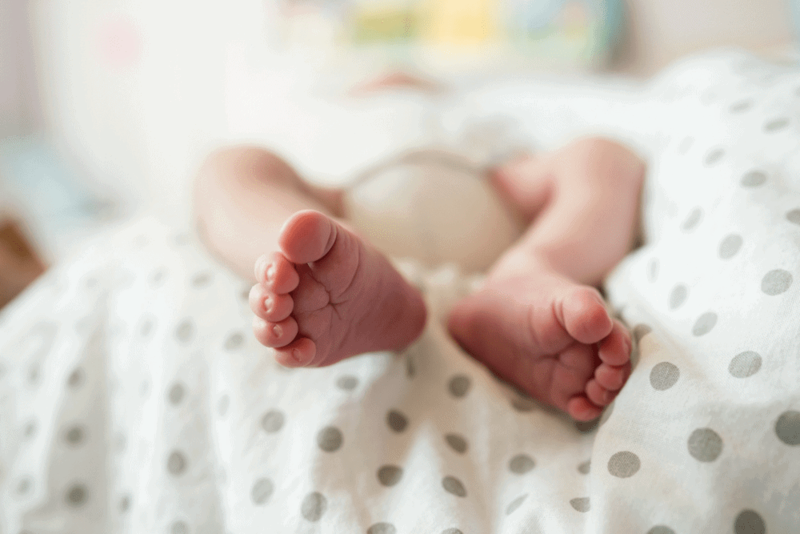 You can check out our all natural diaper cream guide to find a diaper rash cream you’ll love. Sometimes the diapers can actually cause a reaction on your baby’s skin, leading to the diaper rash itself. If your baby has a bad rash, and cloth diapers just aren’t your thing try some organic diapers, atleast until the rash is gone. They will draw more moisture away from your baby’s skin than cloth diapers, which means the rash will heal faster. They also don’t contain the chemicals conventional diapers do. The only drawback is, to use the subscription option you have to sign up for a family prime account (not necessary if you already have prime), but you can get a free 30-day trial and you can just go back and cancel it if you don’t want to keep it. This gives you 20% off of diaper subscriptions. P.S. if you purchase as a subscription, you can go back in after your purchase and cancel that subscription, and still get the lower price. Avoid most commercial baby moisturizers. Many of them have chemical-based fragrances or potentially harmful ingredients. This includes baby oil. Opt for natural skin moisturizers like coconut oil and sweet almond oil. Just make sure to go easy on it, baby only needs a couple drops. If you MUST use a scented moisturizer use one like this, It’s EWG certified. Use an herbal baby bath to heal skin faster. Even just basic Calendula is perfect for this! Air, air, air! I cannot stress this enough. Sunlight can help heal baby bottoms quickly too, but you have to be very careful if you decide to do this. I would sit near an open window with irritated skin in the sunlight. Just make sure not to sit for more than a few minutes at a time. You don’t want to burn your baby, which can happen very quickly.